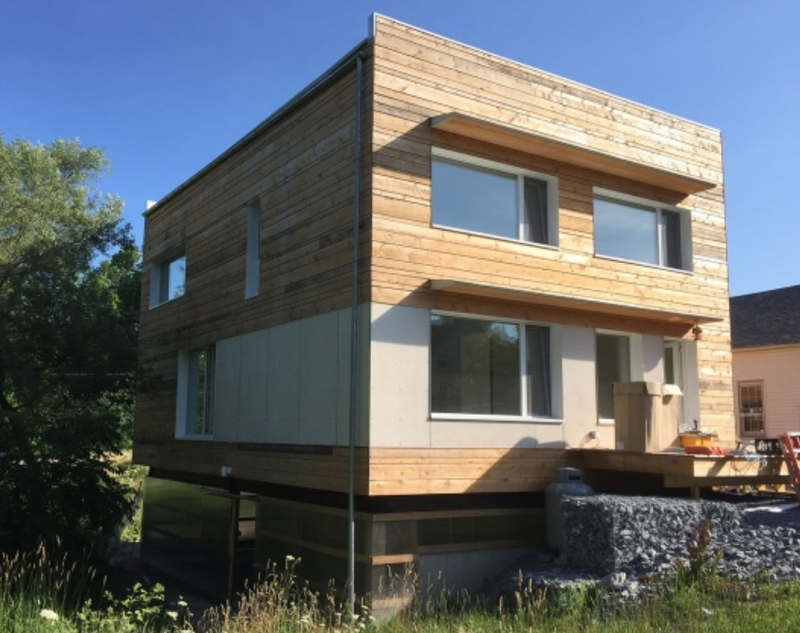 Eco Houses of Vermont has worked with Gregor Masefield of Studio III in Bristol to produce two beautiful, modern Passive Houses. One in Lincoln and one in Middlebury, VT. Both are certified Passive Houses through PHIUS (Passive House Institute US). With heating demands and loads way below any house built to code, these houses are super comfortable, all year round. Each project uses an Enthalpy Recovery Ventilation (ERV) system to ensure that the indoor air quality is as good as it gets, almost as good as outside air (averaging around 700 ppm CO2 in a bedroom with doors closed). Both projects are being lived in and enjoyed by their owners.